Animal testing by the cosmetics industry may seem downright barbaric, but it could also be obsolete, as well. 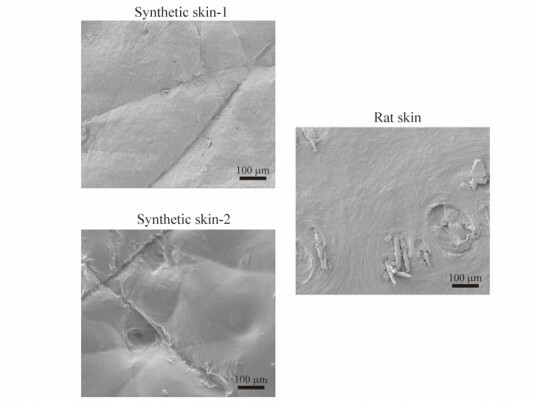 Synthetic skins are now good enough to mimic animal skins in lab tests, according to research that will appear in the June 5 issue of the Journal of Applied Polymer Science. Bharat Bhushan, a professor at Ohio State University and Wei Tang, an engineer at China University of Mining and Technology used atomic force microscopes to observe the responses of pseudo and rat skins to a generic skin cream. The result? Even at a scale of 100 nanometers—or one-thousandth the width of a human hair—all the samples reacted in a similar fashion. Both Bhushan and Tang may be onto something here. While their findings could save many a hapless critter, it could also weigh in positively on burn victims’ futures. The scientists compared two different types of ersatz skin to the real McCoy. The first was a commercially available skin purchased from Smooth-On of Easton, PA, while the second was produced in Bhushan’s lab. 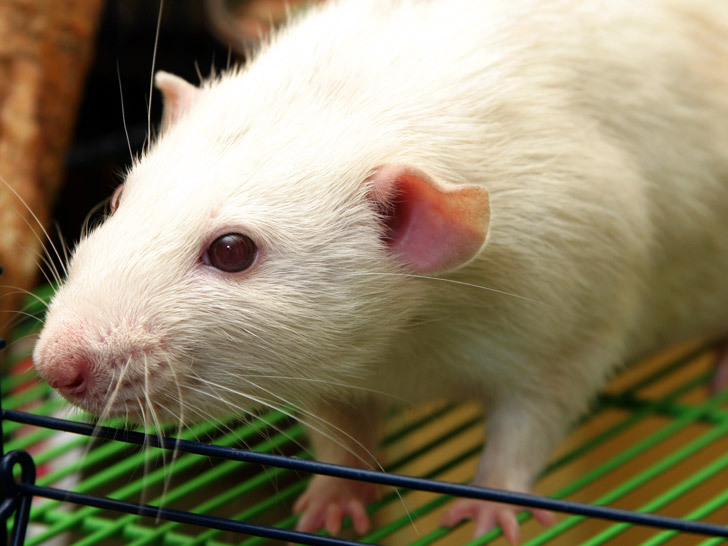 The rat skin samples came courtesy of Ohio State’s University Lab Animal Resources. A synthetic skin doesn’t just have to feel and act like real skin. It must also maintain its texture and consistency under environmental stress. A synthetic skin doesn’t just have to feel and act like real skin, according to the researchers. It must also maintain its texture and consistency under environmental stress such as sunlight or rain. The good news is that the fakes are up to snuff. Despite their surface differences, all three skin samples reacted similarly to the cream. “The skin cream reduced the surface roughness, increased the skin’s ability to absorb moisture from the environment, and softened the skin surface,” Bhushan says. For our animal friends, this can only spell good things, but what does it mean for burn victims? Animal skin is unpredictable, which makes it extraordinarily difficult to anticipate how it will respond when grafted onto a person. Synthetic skin, on the other hand, is consistent in composition and behavior, and if researchers can find the ideal match, it could jump-start skin cell regeneration and accelerate healing. Bhushan wants to try out other skin creams on the artificial epidermises. We eagerly await the results, and we’re still pinching ourselves about this dermatological breakthrough. Wow, this is fabulous new. I have two concerns, since money trumps all forms of life and compassion these days. I didn't see anything about the cost of synthetic skins. If it isn't cheaper than the cost of using lab rats, it ain't gonna happen. My other concern is the lab animal breeding facilities will fight this tooth and nail. Breeding lab animals is big money. I can't see anyone in our current crop of greedy shills choosing compassion over dollars. IT WOULD BE SIMPLY GREAT, IT�S TIME TO STOP THE TREMENDOUS SUFFERING AND THE HIGH COST PAID BY INNOCENT VICTIMS: THE ANIMALS ONLY FOR THE SUPERFICIAL ATTACHMENT OF HUMANS TO HIDE THEIR OWN PERSONALITY, TO ACCEPT THE LIFE IN ITS SELF AND TO BE REAL HUMAN . IF WE ALL COULD LEARN FROM MOTHER EARTH AND ANIMALS: THEY ARE AUTHENTIC THE WAY THEY�RE, WITHOUT MAKE UP, CLOTHES AND DRESSING, THAT�S THE BEST GIFT , THE BEST WAY TO SHOW YOU DON�T NEED TO HIDE , YOU�VE TO BE HAPPY THE WAY YOU�RE NOT TRYING TO BE ANOTHER ONE, TO COMPARE WITH, AND ANIMALS ARE MASTERS TO TELL US HOW TO DO IT: THEY WEAR THEIR OWN SKIN, NOTHING ELSE TO BE LOVED, TO BE GREAT! Animal testing by the cosmetics industry may seem downright barbaric, but it could also be obsolete, as well. Synthetic skins are now good enough to mimic animal skins in lab tests, according to research that will appear in the June 5 issue of the Journal of Applied Polymer Science. Bharat Bhushan, a professor at Ohio State University and Wei Tang, an engineer at China University of Mining and Technology used atomic force microscopes to observe the responses of pseudo and rat skins to a generic skin cream. The result? Even at a scale of 100 nanometers�or one-thousandth the width of a human hair�all the samples reacted in a similar fashion. Both Bhushan and Tang may be onto something here. While their findings could save many a hapless critter, it could also weigh in positively on burn victims' futures.